There have been countless times where I have heard this company is going to be the Uber of the food industry or another company is going to be the Airbnb of cars. So many new companies are trying to be the imitation of other successful companies. Most of those companies end up failing. This is due to the lack of creativity and innovation. There is a difference in adjusting to working business models and trying to imitate another versions of leading companies. The important thing is working on innovation for your business. You always want to stay up to date with current technologies and look to where the marketplace is going. You need to assess your company and find ways that you can differentiate yourself from the competition or other companies in general. If you are in the clothing industry, you may want to think about investing into e-commerce based off the declining sales of in-store purchases. As you look at the market in general, those changes are important for all companies to follow or even try to get ahead of. This is a little different from copying other companies business strategy such as Toms. That shoe company is pretty well known for the buy one give one model. For every pair of shoes purchased, they donate one pair to a needy child. This model has a social purpose and makes the buyer feel good for shopping with them. If a coat company came into the clothing industry with the same exact model, they may be looked at as imitators. The other problem is that if this coat company has to always follow the trends of other companies, they will never get ahead. The big trend in millennials is social enterprise. So keeping that in mind in a business model, the coat factory in the previous example should try to find their own way of making a difference. If they can find a way to make a difference in their community, that would be beneficial to everyone. I have used Humble Beast as an example several times, but I would like to point out their innovation once more. They decided a long time ago that as a part of their ministry mission, they would make all their music available for free on their website. They built their model to run financially off of other services that they do as a part of a company. Now that album sales are not as high as they once were, it doesn’t impact them as much as other record labels. They made this decision before streaming really took off. Their innovation set them up for future success. The main idea I want you to think about is how can you be innovative with whatever it is you do. Make sure you look at the marketplace trends and not just one individual company for guidance. If you are only able to get ideas from other companies, you may want to find a business strategist to partner with. Otherwise you may be riding behind the wave instead of being in front of it. Thank for reading this weeks Business with Bordeaux blog. 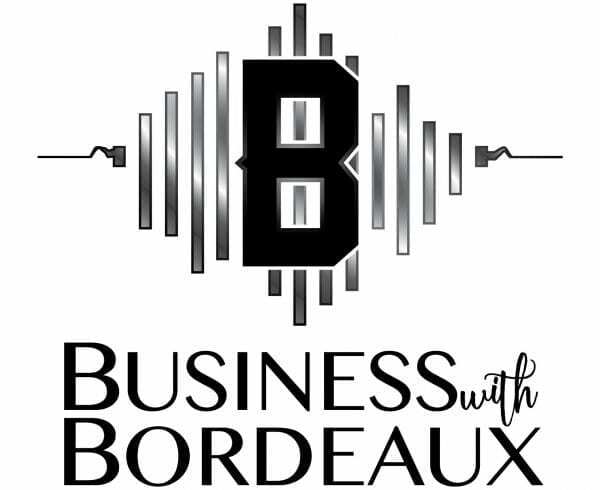 For all of my blog postings and podcast you can visit businesswithbordeaux.com.